The selection of an agent will be one of the most important decisions you'll make when selling your home. According to a survey by the National Association of Realtors, almost 20% of sellers choose a real estate agent who is a friend or relative. However, it's been my experience, that this isn't always the wisest way to select the person who will represent you in perhaps the largest transaction of your life. There are better ways to ensure you receive top dollar and sell your home quickly. To begin with, you'll want to hire a realtor who is committed to making real estate their full time profession. To effectively sell your home, you'll want to have a professional relationship with the agent you choose. You will find it beneficial to hire an agent who will tell you what you need to hear (not what you want to hear) without the fear of hurting your feelings or injuring a personal relationship. You'll want to find an agent who knows your neighbourhood, who has knowledge of schools, shopping, streets, transportation and other local amenities. Also, an agent with buyer connections will usually yield a better selling price, as they will be able to generate more demand for the property. An effective real estate agent should also have a proven Marketing Plan. Selling a home requires more than simply putting your home on the Multiple Listing Service and putting up a for sale sign. Most buyers begin their search for a new home by checking available properties listed on the Internet. Therefore, it is extremely important to hire a realtor who has technical knowledge and is internet savvy. Lulu has an E-Pro designation from the U.S., less than 5% of Realtors in Canada have this designation. Confused? Hiring the correct real estate agent can be confusing. There are many elements involved in your decision. To assure you hire the Right Realtor, here are some suggested questions for Listing Agents. What educational designations have you achieved? How many contracts have you successfully negotiated this year? What perecentage of your listings sold last year, compared to MLS? What was the average time on the market, compared to MLS? What was the percentage difference between asking price and selling price? Do you have a full time assistant? Do you zone-farm my neighbourhood for buyers? Would you mail brochures of my home to other agents? Do you provide a written report to sellers? May I see your resume? Do have a list of references that I may check? Do you have a proven marketing plan? In other words, Lulu knows the real estate business inside and out. Her skills have helped hundreds of clients and she'll do the same for you. 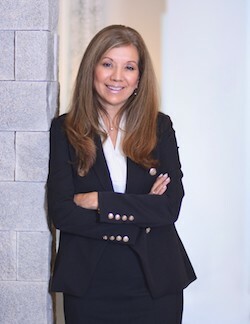 Since entering the real estate profession nearly two decades ago, Lulu has been a consistent top-producing agent. In addition, she takes great pride in staying on top of the latest in technological advancements, making sure to give her sellers maximum exposure. She has always believed balance is essential to everything. Expertise must be blended with personal service in order to achieve the greatest results. Lulu is devoted to customer service, best of all she offers SATISFACTION GUARANTEED!